GATINEAU, QC--(Marketwired - October 12, 2017) - The Hydropothecary Corporation ("Hydropothecary" or the "Company") (TSX VENTURE: THCX) is pleased to announce the official groundbreaking on its 250,000 sq. ft. greenhouse expansion. When completed, the $25 million building will create an additional 100 full-time jobs with benefits at the Hydropothecary's Gatineau, Quebec facility, bringing the Company's total employment to over 200 people. The expansion will bring total production capacity to 300,000 sq. ft., allowing Hydropothecary to produce 25,000 kgs of dried cannabis annually. This phase of the Company's expansion has been fully funded by past financings. "With this expansion of our production capacity, we are boldly signaling our intent to not only expand our well-established presence in the medical marijuana market, but to become a major player in the legal adult-use recreational market," said Hydropothecary CEO and co-founder, Sebastien St-Louis. Hydropothecary was recently awarded the Coup de Coeur at the Quebec Job Creation Awards Gala held in Quebec City on October 4th. The awards are given annually to honour major job creators in Quebec and its 17 administrative regions. "As Quebec's only licensed producer of cannabis, we are proud of our contribution to Quebec's economy and we look forward to collaborating with government decision-makers on the development of a safe, regulated cannabis industry which responds to the health and security concerns of Quebecers," added Mr. St-Louis. The ground-breaking ceremony was attended by several dignitaries, employees and members of the community. For more information about Hydropothecary, see the attached Fact Sheet. The Hydropothecary Corporation is an authorized licensed producer and distributor of medical cannabis licensed by Health Canada under the Access to Cannabis for Medical Purposes Regulations (Canada). Hydropothecary provides sun grown and rigorously tested medical cannabis of uncompromising quality. Hydropothecary's branding, cannabis product offering, patient service standards and product pricing are consistent with THCX's positioning as a premium brand for a legal source for medical cannabis within this new marketplace. In addition to medical cannabis production and sales, Hydropothecary explores various research and development opportunities for cannabinoid extracts, drugs and combinatory chemistry. In addition, the company is investigating the development and patenting of novel technologies related to medical cannabis, as well as the import and export of medical cannabis. 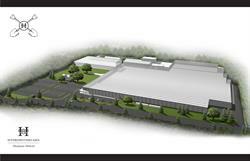 · Existing production capacity: 50,000 sq. ft.
· Total production capacity after expansion is complete: 300,000 sq. ft.
· July 2017, release of Elixir No. 1, Canada's first legal medical marijuana sublingual (under tongue) mist in a naturally-derived oil.